The US M109 series Self Propelled Gun Artillery System was introduced into service in the American Armed Forces in 1963. It has had various upgrades through out the years and was almost removed from service prior to the 1991 Gulf War, when it was questioned if self propelled guns had any place in a modern American Army, as it could not provide the accuracy of missiles, but due to its success in the Gulf War, the M109 was kept in US service. It started life as the T196 prototype which went on for field testing in 1959 at Fort Knox. Issues were found with the suspension and when a new NATO STANAG was introduced about what fuels were to be used by AFV‘s, a new diesel engine was fitted and re-designated the T196E1. An order for the vehicle was placed in 1961 with Cadillac Motor Car Division for a limited production at the at the Cleveland Army Tank Plant, which was then extended in 62 & 63, with production at the same plant but with the Chrysler Corporation. It entered US service in 1963 under the designation M109. It used the M126/A1 155mm main gun in the M127 Howitzer Mount and carried 28 rounds. This model saw the original main gun replaced with the M126A1, which was an increased Cal Length and like all increased length you get a longer range. The A1 now had an effective range of 18100m, an improvement of 3500m over the M109. Modified export model of the M109A1. M109A1 upgraded by the Army in their depots with the “incorporated 27 mid-life” upgrades of the A2. This model saw the introduction of NBC equipment for the crew and modifications to the turret traverse systems of the A2/A3. These improvements provide the M109A5 with greater range and allow for sustained fire for prolonged periods of time. Developed by the Ground System Division of United Defence LP (now BAE Systems Land and Armaments) entered service in 1994 and by June 1999 the American Army had received 950 of the A6 Paladin’s, with an order of 7 more in July 2000 and a further 18 in January 2002 for the National Guard. The A6 has seen the most upgrades of all the series. This includes increased armour, internal stowage arrangement for ammunition and equipment has been redesigned to be safer, engine and suspension upgrades, and product improvement of the M284 cannon and M182A1 mount. The integration of an inertial navigation system and encrypted digital communication system allow the howitzer to send grid location and altitude to the battery Fire Direction Centre. The battery FDC in turn coordinates fire through a battalion or higher FDC. This allows the battery of M109’s to manoeuvre on the battlefield dispersed in pairs, which then stop and fire within 30 seconds and then move on again to its next location between salvo’s of the other M109’s in the battery and repeat the process. This gives the M109’s a high level of protection and survivability as they are not static or fixed positions and subject to incoming fire. This manoeuvre is known as “shoot and scoot”. The A6’s M284 is a 155mm cannon mounted on a M182 gun mount. The projectiles it fires have a range of 24km for unassisted rounds or 30km using assisted rounds. It has a maximum firing rate of up to eight rounds a minute and a sustained firing rate of one round every three minutes, which is obtained with an automatic fire control system and an optional full-stroke hydraulic loading system or semi-automatic loading. The crew are protected with an up to date NBC system and the turret is fitted with Kevlar spall suppression lining for additional ballistic protection. The A6’s are powered by a diesel, 440hp, DDEC 8V71T engine from Detroit Diesel Corporation (same engine used on other models, except this one is beefed up! ), and an Allison ATD-XTG-411-4 transmission providing 4 forward and 2 reverse gears. The new suspension system is a high-strength torsion bars with high-capacity shock absorbers. These give the A6 a range of 350 km with a maximum road speed of 56 km/h. 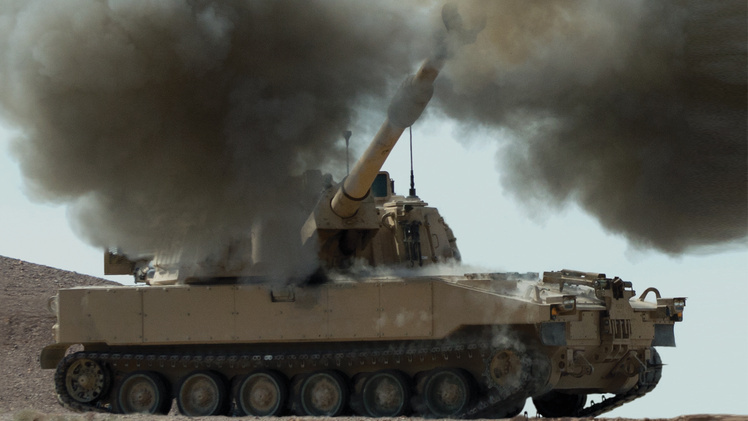 The M109 series uses an 8 man crew, Gun Commander, Driver, Gunners and in a accompanying M992 FAASV-5 (Field Artillery Ammunition Supply Vehicle). For close quarter fighting the A6 can carry either a 12.7mm M2 machine gun or grenade launcher, which is mounted on the right hand side of the turret. In 2005 BAE Systems Land and Armaments started supplying 219 modification kits to the American Army. 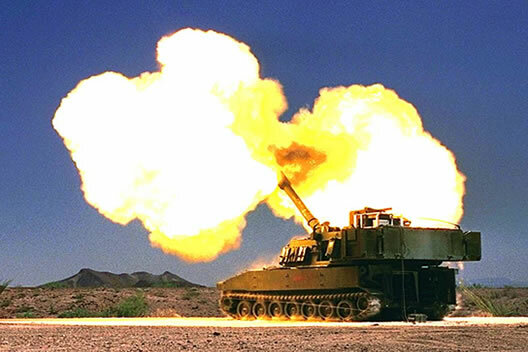 The kits will allow the Paladins to fire Modular Artillery Charge System (MACS) and the 155mm precision-guided extended-range XM92 Excalibur projectile being developed by Raytheon and Bofors Defence of Sweden (a BAE Systems subsidiary). The M109’s were due to be replaced, but the $11 billion XM2001 Crusader program was cancelled in early May 2002 by United States Secretary of Defence Donald Rumsfeld, as he felt it was not mobile or precise enough. The M109 series has and still is in service with over 15 other countries, but it is only the American Army who have the A6 Paladin series. The British Army swapped over in 1993 to the AS-90 and several other European countries are in the process of swapping to the German manufactured PzH 2000. Latest upgaded version. New chassis using M2 Bradley components with an A6 Paladin turret. Entering service in 2015 with US Army. Click here for dedicated M109A7 page. The IDF took delivery of M109A2′s & A3′s around 1970 and were designated the Rochev (Rider) and were used in the Yom Kipper War of 1973. The Rochev’s were upgraded (except some were kept in the reserve units) by the IDF from 1993 and designated the Doher. Work was completed by 1997. The Doher upgrades included Inertial Navigating System (INS), air filtering system, changes in the driver’s panel & cabin and NBC protection added. Additional MG on the roof, electrical travel lock for the main gun, external generator, commanders hatch can now be secured in a semi open position, providing greater situational awareness and protection. 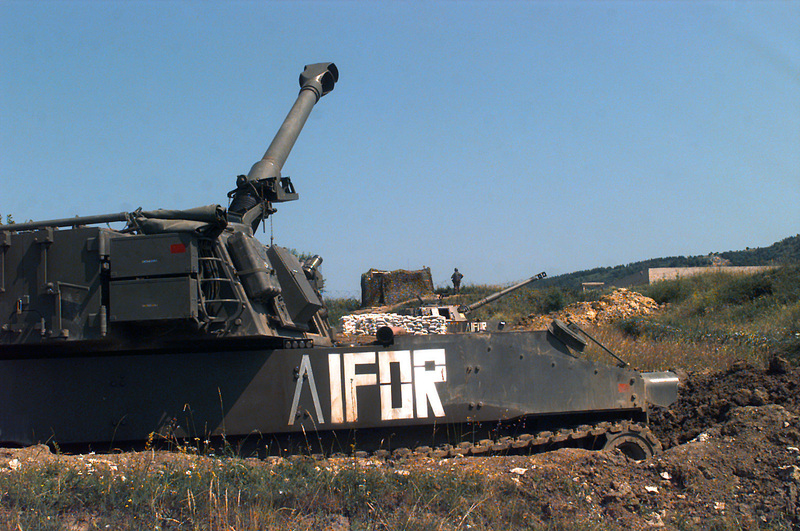 Italy imported earlier models of the M109 during the 1960’s and during the early 1980’s trialled an improved version developed by Italian firm Otobreda. 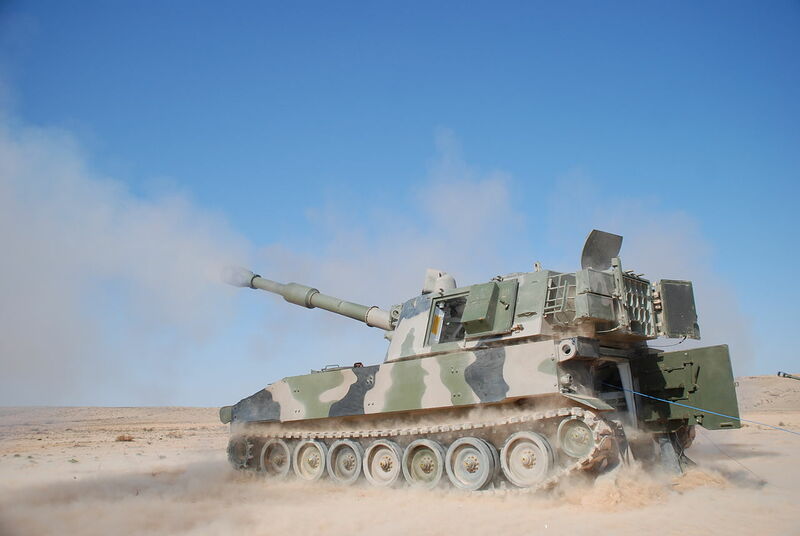 It included the replacement of the existing 155mm calibre Length 23 main gun with Otobreda’s own 155mm calibre Length 39 main gun, which had an improved range of 24km and 30km with rocket assist rounds. The double-baffle muzzle brake and recoil buffers were also modified. Entering service in 1986, 280 M109 were upgraded to the M109L. The M109L47 was an export upgrade package developed by a Dutch company for the M109 series. It used a new 155mm calibre Length 47 main gun, which had revised rifling, new fume extractor and double-baffle muzzle brake. Other improvements included a semi-automatic loading system and a new fire control system by South African company Denel as well as increased ammunition stowage. 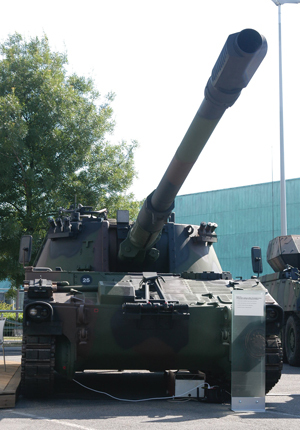 Developed by both the Dutch firm RDM and the German firm Rheinmetall, the M109L52 uses the same 155mm calibre Length 52 main gun as the PzH 2000 enabling the vehicle to use the same ammunition. The loading system was also upgraded and is now able to fir 9 – 10 rounds/per min. Samsung Aerospace Industries (SSA) was the prime contractor for licensed production of 1040 M109A2 under the designation K55. These were later upgraded under the Performance Improvement Program to the K55A1. Work was completed by Samsung and included new fire control systems and auxiliary power supply. The Swiss firm RUAG developed The KAWEST package for the Swiss Army. A new Swiss-designed L47 155mm main gun with an increased firing range of up to 36 km, a new gun-laying system and more ammunition storage. A reduction in the crew from 8 to 6, is able to fire 3-round bursts within 15 seconds or maintain a constant firing rate of over one round per minute. Upgraded Swiss PzHb (Panzerhaubitze) 79 and 88 (M109A1) have been redesignated the PzHb 79/95 and PzHb 88/95. Canada – 76 A4B+ Phased outfrom the Canadian Forces since 2005, they were used between 1967 to 2005. All vehicle had been modernized to the M109A4B+ SPH standard in 1980s. They were primary used by the 4 Canadian Mechanized Brigade Group in Germany. Vietnam War – It was so successful with the American Army, its lighter version, the M108 was with drawn from service. IDF – In the 1973 Yom Kippur and in both the 1982 & 2006 Lebanese Wars. Bosnian War – Deployed with IFOR forces. Gulf War – It was used by the American, British, Egyptian and Saudi Arabian Armies in 1991. 2003 invasion of Iraq – By the American Army. 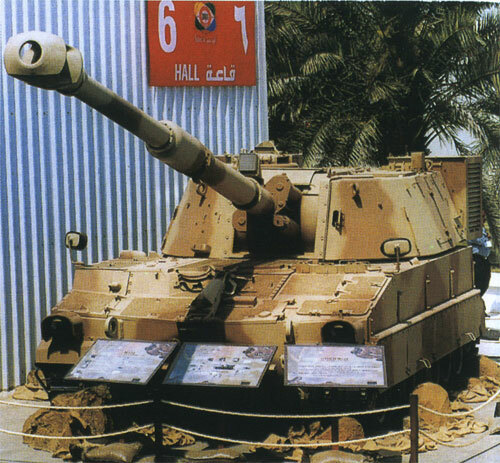 Entering production in 1983, the FAASV is an M109 hull with a rounded structure in place of the turret, which is used to store 93 155 mm projectiles, 99 propellant charges and 104 fuses. When fully loaded it weights just under 26tons. It has a crew of two and can carry 6 further passengers. When re-supplying an M109, the M992 backs up to the rear door and extends its conveyor into the M109 which is used to transfer rounds between each vehicle. It was equipped with a HALON fire suppression system. A total of 664 vehicles were built for the US Army. The M992A1 & A2 – Under the FAASV HELP (Howitzer Extended Life Program) the M992 saw changes to the propellant storage set up, upgrades to the conveyor system to work with the A6 Paladin and the same improvements to the Paladin’s engine were made to the M992 engine so that it could keep pace with the Paladin. The upgraded vehicle was re-designated the M992A1. 125 were built from scratch. The A2 was introduced in 1994. It featured a new auxiliary generator, (replacing the existing one) improvements to the engines radiator, the heater & hydraulic reservoir was moved and all the upgrades from HELP were added. All M992’s were upgraded to the A2 by 1999 including 96 new builds. 36 A2 conversion kits were purchased to convert old M109 SPG’s. 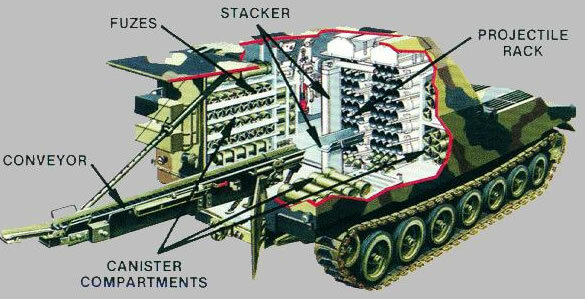 In 2005 a new up-powered auxiliary generator was added and a new storage configuration for the Modular Artillery Charge System (MACS), which resulted in the removal of the conveyor. The M992A3 – Upgraded version developed with and for the M109A7 using a chassis and parts from the Bradley fighting vehicle. Entering service in 2015, they will be upgraded former M992A2.